Really important early Australian ring marked for Ambrecht and Drescher who worked at Bourke Street East from 1853 till 1858. Ambrecht being one of only two diamond setters working in Melbourne at that time. 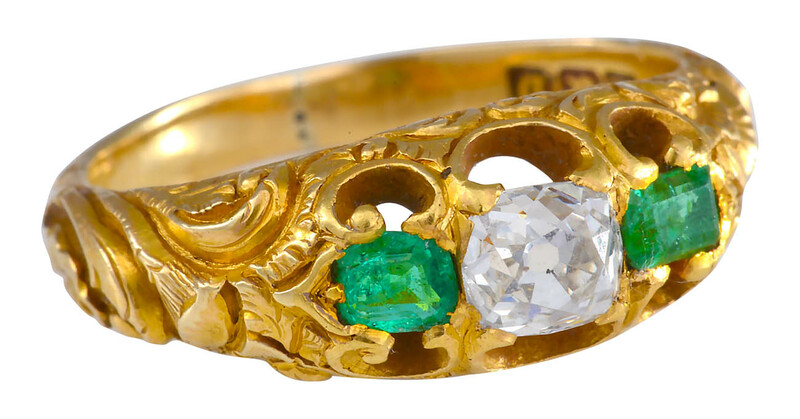 So this diamond and emerald ring is a very rare Australian jewel .